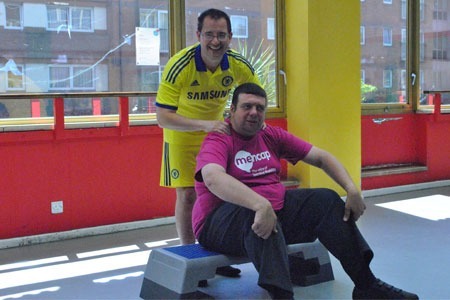 At YMCA Wimbledon we offer gym sessions and exercise classes for people with disabilities and carers. 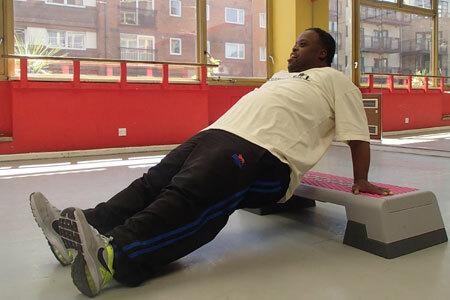 Our fitness instructors are highly qualified. The gym is open Monday to Friday, 6.30am-10pm and Saturdays and Sundays, 8am-8pm. The restaurant is open Monday to Friday 9.30am-3.30pm. Saturday and Sunday closed. *Other than the specialised classes listed in the timetable below, we run a wide range of other fitness, dance and sports classes. Ask at Reception for a timetable or download one here (link). A weekly one hour gym session where the same friendly personal trainer will be available each week for any questions, help or support you will need to get active in the gym. The class takes place in the main gym. 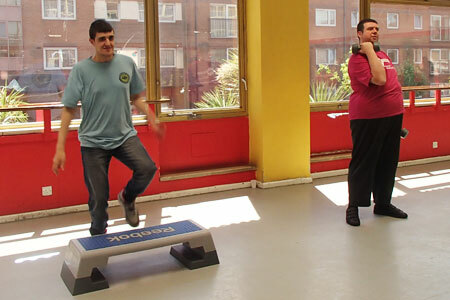 A weekly dance class for people with a disability 16+. You will explore different aspects of dance though creative movement and the use of colourful props, music and lots of laughs! The class plus lunch club costs £7.50 per person and takes place in Studio 2. Instructor: Mary. Enjoy a variation of sports including badminton, indoor hockey and many more in a friendly and competitive environment. This class takes place in Studio 1. Instructor: Matt. A broad and inclusive class where you can improve your movement and get active. The best way to shape up is combining aerobic workout and toning up exercises. Sessions are available Monday to Friday and you can either work out alone or in a group. Group: £20 (for up to 8 people). Carers are entitled to support their individual throughout gym and class sessions free of charge. 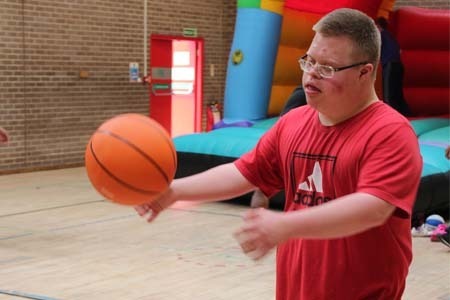 If a carer wishes to attend the gym or a class session when not supporting their individual, they can do so for the concessionary rate of £2.50 per session. Evidence of being a carer must be provided. Please visit YMCA Wimbledon to view and/or to join. If you require further information or have any queries, please contact Reception on 020 8542 9055. All our classes as able to accommodate group bookings. If you are an organisation interested in making a group booking, please contact Reception on 020 8245 9055 Carers can also take part in the group classes.